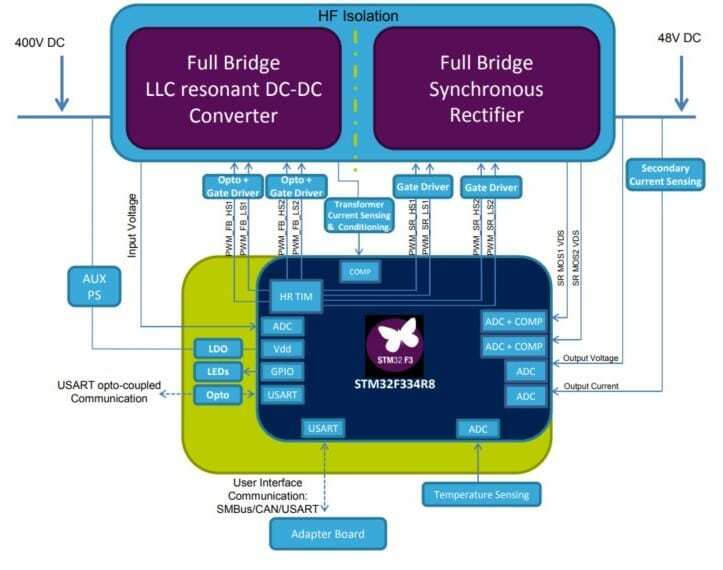 The STEVAL-DPSLLCK1 from STMicroelectronics is a digitally-controlled 3kW full-bridge LLC resonant dc-dc converter with output synchronous rectification. 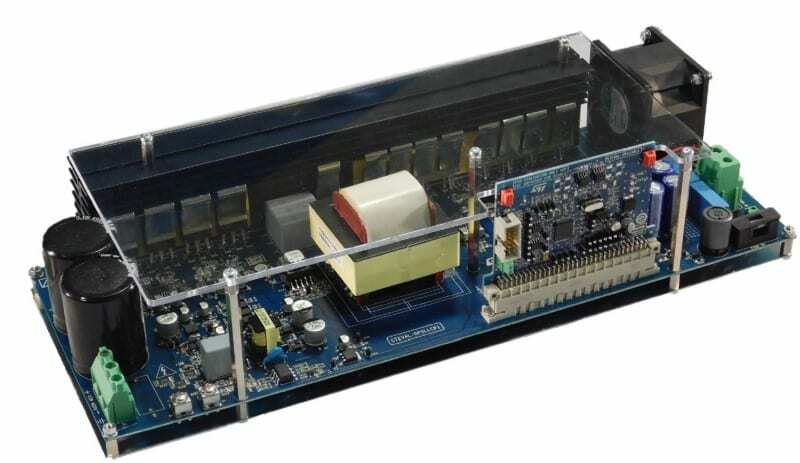 The kit consists of a power board, digital control board, adapter board, and firmware modules. The full -ridge primary section of the LLC converter is based on MDmesh™ DM2 Power MOSFETs for high efficiency performance. The pwm switching frequency is digitally controlled to regulate the output voltage. The converter operates at near resonant frequencies to maximize efficiency and achieve Zero Voltage Switching (ZVS) over the entire operating range. The HF transformer provides galvanic isolation and magnetic integration of the inductive elements for a compact design. 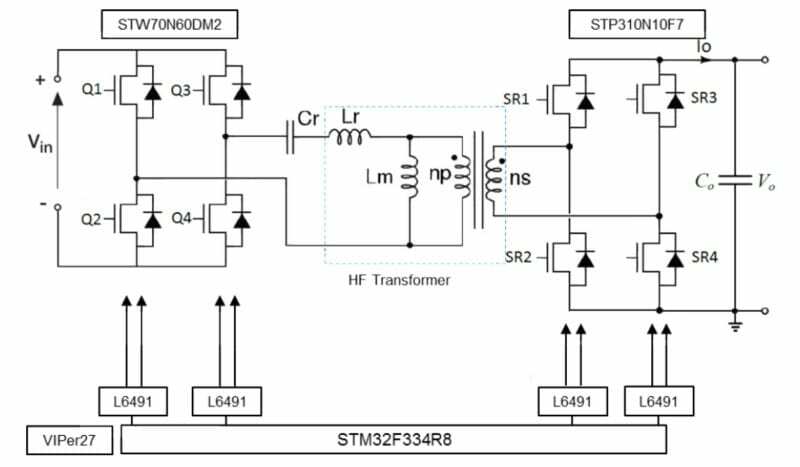 Synchronous rectification (SR) with STripFET™ F7 Power MOSFETs is employed on the secondary side to reduce conduction losses. The STM32F334 microcontroller on the digital control board embeds a high resolution timer for finer regulation and can communicate status information via USART, CAN, SMBus, and opto-coupled serial communication. Both the primary and secondary sections are supplied by an off-line flyback circuit based on VIPer27HD which provides regulated voltages to the control board, the gate driver ICs and the signal conditioning circuits. Users can connect a PFC to the power board and extend communication and interfacing with the supplied adapter board.